Comerica Center is located in the flourishing community of Frisco, Texas and is surrounded by a number of retail shops, restaurants and hotels, and has become a premiere entertainment venue in Collin County. Home to the Dallas Stars Executive Offices and the Texas Legends, the Dallas Mavericks’ G-League affiliate, Comerica Center seats up to 6,000 people and features amenities such as a state-of-the-art sound system, three 11’X19’ HD video screens, 12 suites and a private lounge area. Formerly known as Deja Blue Arena at StarCenter, the original facility, which was opened in 2003, underwent a major renovation through a partnership between the Dallas Stars, the City of Frisco and the Frisco ISD. Comerica Center’s capacity nearly doubled, increasing from 3,500 to just over 6,000. Nearly ten years later, the arena is again undergoing renovations to the concourse while also introducing a new concessionaire, RS3, as it continues to remain at the forefront of the entertainment industry. The renovations will feature state-of-the-art food and beverage services specifically tailored to highlight the unique atmospheres of each event. RS3 will also offer a wide selection of beers, wine and spirits at different bars located throughout the arena. The venue hosts a variety of sporting events, concerts, family shows and trade and corporate conventions. Its versatility and intimate environment creates an environment that allows patrons to get the full experience of every event, while simultaneously providing an ideal venue for entertainers. 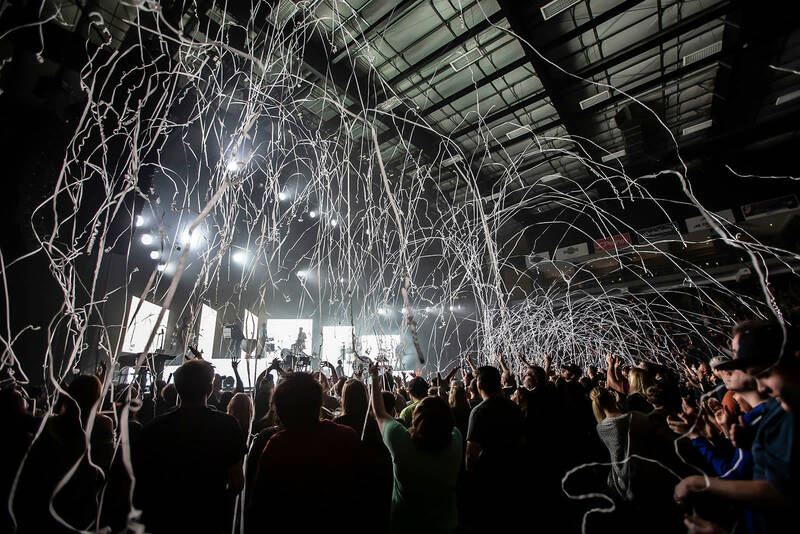 Comerica Center welcomed more than 250,000 people through its doors for over 110 events in 2017-18, including Frisco ISD graduations which have been held annually at the arena since 2009. Additionally, the Harlem Globetrotters and Cirque Du Soleil, who have performed at Comerica Center in the past, will both be returning in 2019, as will the Men’s and Women’s Lone Star Conference Basketball Championship. Comerica Center showcases performers and businesses from all disciplines and industries. Our Goal is to inspire a connection between an audience and their artist. You’ll get the support of our staff who help you create a memorable occasion.